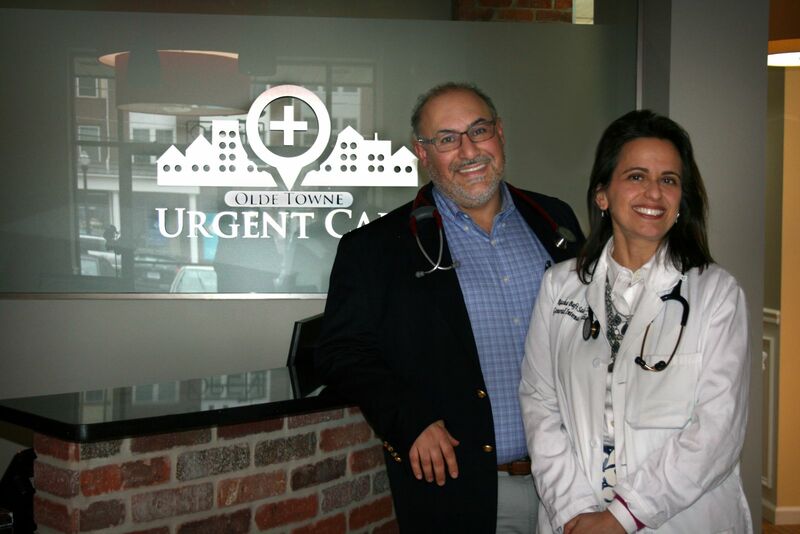 Olde Towne Urgent Care is made up of a unique husband-and-wife physician team who have over over 20 years of experience each in the medical profession. They specialize in everything from primary care, addiction medicine (Buprenorphine providers), hospitalist medicine (high acuity medicine) and urgent care medicine. Urgent Care Medicine has developed in response to a high demand for fast, convenient and highly trained medical professionals, with one's ability to be seen the same day, and have everything done under one roof; namely labs, xrays and minor surgical procedures, as well as iv fluid rehydrations, ekg's and nebulizers. We consider ourselves a hybrid between an emergency room and a primary care office, thereby offering immediate and excellent medical care!